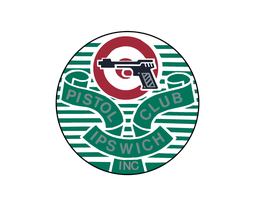 Ipswich Pistol Club welcomes new members! Please read the information below - it's a long read but sets out the answers to almost all questions you may have about joining a pistol club. Members participating in Club Working Bees receive a credit of $20 per working bee up to a maximum of $80 per membership year. Our membership year runs from 1 September - 31 August. Fees for those joining during the membership year are pro rated. The competed form and the documents specified in the form must be submitted to your local Police Station for approval. If approved, you will receive a declaration to be presented to the Club along with your application for membership. Remember this declaration will only last for 3 months. If you already hold a firearms licence other than a category H (eg Category A & B) , you do not need to obtained the Statement of Eligibility, but will need 2 character references and declaration of other shooting club memberships as above. If you already hold a Category H license, you need only complete the Club’s membership application form. must then be submitted to the Club Secretary for consideration by the Club’s Management Committee. By law, you must be a member of an approved handgun Club for at least 6 months before you are eligible to apply for a firearms’ licence. During this 6 month probationary period, the Club requires new members who do not already hold a handgun licence to shoot 6 rimfire (.22 calibre) matches at the Club, before advancing to other match disciplines and/or larger calibres. We have found that this offers new shooters the best opportunity to learn the basics of handgun shooting, safety and operation. During this period, new members are required to be supervised by a Range Officer when shooting and must complete a Form 33 Register each time they visit the range to shoot. During the 6 motnh probationary period you must complete a recognized approved Weapons Safety Course (to gain knowledge of safety practices for the use, storage and maintenance of a firearm). Applicants having an A or B licence will only need to do the legislation and Category H components. (Ipswich Pistol Club has licenced Firearms Instructors who can provide approved Weapons Safety Course training for Categories A, B, C, D and H). As it is an online application, you will need to have electronic versions (eg scanned copies) of all of these. To maintain your handgun licence, you must participate in at least 6 handgun competitions per year per firearm. a weapon designed to be used without a magazine that has a maximum capacity of more than 10 rounds. Once you have your licence, you are eligible to purchase a firearm. However, the purchase of firearm requires an additional permit over and above your handgun licence. To purchase a handgun you must apply for a permit to acquire (a “PTA”). This is best done via the online PTA system: http://www.police.qld.gov.au/programs/weaponsLicensing/applyOnline/pta/ ). The current fee for a PTA is $37.50. The PTA will require you to state the type, action, make, model, barrel length, serial number (if known) and calibre of the weapon, and the magazine capacity of the firearm. Once obtained a PTA is valid for 6 months. The PTA must be accompanied by a letter form the Club endorsing your acquisition of the particular firearm. This letter is obtained from the Club Secretary. All purchases of firearms must be done through a licensed firearms dealer. Even of you are purchasing the handgun form a private person, the deal must be brokered by a license dealer. The Dealer may charge a fee of up to $11 for brokering the sale.